We’re a highly skilled team with the credentials and experience to ensure your corporate information remains safeguarded. While several listed multinationals have entrusted us with the complete design and implementation of their information security, we also have both the flexibility and the scalability to fit in exactly where we’re needed – whether that involves guiding you through our process or being guided by yours. No client is the same as another. Neither, for that matter, is any task. 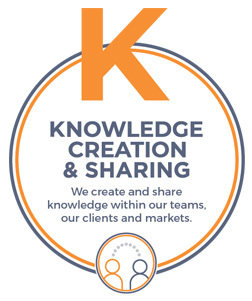 We collaborate, innovate and share our knowledge, and we transfer our skills wherever possible. Our goal, always, is to create practical and sustainable solutions geared perfectly for our clients This is how we measure our success. Our consultants’ tertiary qualifications are complemented by international certifications in IT Governance, Risk Management, Information Security and Privacy. Armed with proven methodologies based on global best practice, our team will collaborate with you to gain a full understanding of your business needs, then work closely with you to create the requisite solutions. All with minimal disruption. AS YOUR TRUSTED PARTNER WE WILL IDENTIFY, DESIGN AND BUILD THE NECESSARY CHANGES TO ADDRESS YOUR INFORMATION RISKS. WE ARE VERY PROUD TO HAVE RECENTLY ACHIEVED A LEVEL 1 BBEEE STATUS. Mobius Consulting is committed to our people, clients and making a contribution to South Africa. Achieving Level 1 BBBEE status has marked a major milestone for us and is evidence of our philosophy and culture of actualising change. Our new BBBEE status is a very clear demonstration of our commitment to our country and in turn our commitment to our clients and partners who seek Level 1 business partners. Patrick Ryan (CRISC, CISA, CISM, ITIL Managers Certificate) is an IT management consultant with 20 years experience specializing in IT Governance, Risk, and Compliance. He has worked for some of the largest professional service firms and has accumulated experience across most industry sectors in Africa, USA, and UK. After having worked for professional services firms for 15 years, Patrick established his own IT consultancy (Mobius Consulting) in 2012 with a view to assist clients in implementing the changes being driven by ever-changing technology, business demands, and external influences such as audits and regulations. Patrick strives for Business and IT alignment and has a passion for client service, quality deliverables and developing people. Lynn Martin (CRISC, CISA, CIPP/M, CIPP/T), is a highly experienced management consultant with 19 years of Management Consulting and IT audit experience across a broad range of industries. Lynn began her career in 2000 at Arthur Andersen, spent a number of years leading The Clicks Group IT internal audit team and after 6 years at KPMG, left the organisation as an Associate Director in 2012 to start Mobius Consulting. Lynn is passionate about making a tangible and sustainable difference within the Mobius Group and at her clients. Lynn has a proven track record in a broad range of Mobius services. Lynn’s core focus and experience is in the Information and IT governance and specifically Information privacy services, having lead significant projects at leading South African organisations. Sandhya Mohan-Pillai (CGEIT, CISA, CISM) has over 20 years of IT Consulting experience across a number of areas with specific focus on Information Security, IT Governance, Identity and Access Governance, Third Party Risk Management, Risk management as well as broader management consulting. Sandhya’s experience in IT risk management and consulting extends to KPMG, as an Associate Director, as well as Investec Internal audit and Investec Private Bank IT and operational Risk where she was responsible for setting up the people, process and capability aligned to international best practices. She has successfully driven business growth in targeted markets across South Africa by leveraging on her strong leadership skills and she is passionate adding value and about making a difference in everything she does. Raymond du Plessis (CISSP, CISA, CISM, CRISC and CSX) is a Senior Managing Consultant with over a decade of Information Security experience and an additional 14 years of experience in information technology. Raymond utilities this broad experience to provide pragmatic approaches in addressing information security requirements. Raymond has extensive experience with information security assessments, control selection, development of roadmaps and plans, and operational processes. Roelien Howell (CISM, CIPT, CIPM, CIPP/E, FIP) has extensive consulting experience, specifically in the Privacy field and related disciplines. Roelien leads team members to assists various organisations across multiple industries in understanding, prioritising and remediating privacy control requirements. She is passionate about building relationships and identifying practical solutions to support successful projects. Malcolm Parker (CISA, CISM, CIPP/US and BRMP) is a qualified accountant and IT professional who is passionate about IT governance and risk management. He has 18 years of experience including working for two big4 firms, a major retailer and a fortune 500 firm. During his career he has gained deep knowledge of the Financial Service, Retail and Oil & Gas industries. He has also had the opportunity to work in the UK, Angola, Nigeria, the US and Asia. Malcolm is a people person, collaborator and innovator who loves helping organization transform their organisation to survive and thrive in the digital era.